Today, Monday November 26th 2018, Japankuru Funding has had another successful project reach its goal! 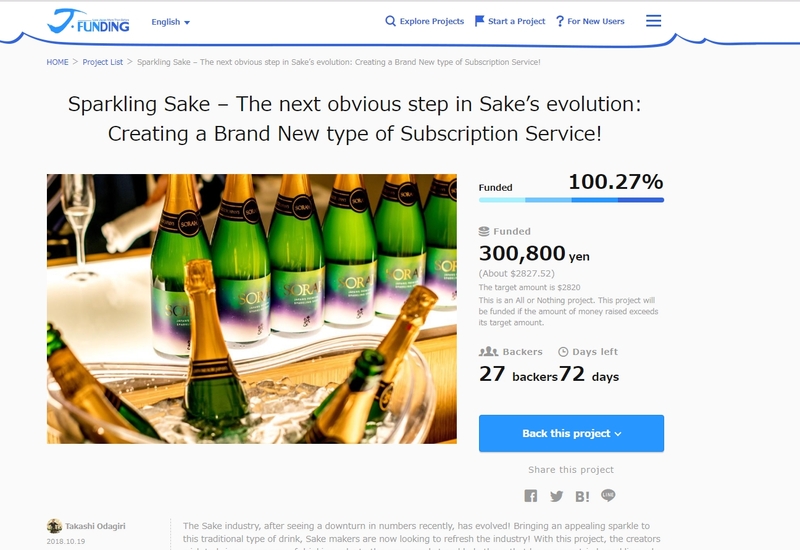 The Sparkling Sake project has reached it’s first goal of 300,000 yen! The project has been live for just over a week and they’ve been able to raise the funds! However there is still just over 2 months to go! You can back the project and receive you’re own very special sparkling sake and be safe in the fact that because the project has been successful, you will receive it!! You can find the project page here. We Ask you! Interview Video number 2 has been released! J.FUNDING is cross-border crowdfunding service for bringing cool Japanese projects to the world.